Corn Hole not your thing -- no worries. Join us anyway! There will be great networking for all involved! Want to play but don't have a teammate? No worries, you can still sign up to be the CMAA Corn Hole Champion for 2018. Register here and we will match you up with someone else -- or send an email to Sarah@cmaanorthtexas.org to request another single player for your team. What a GREAT way to get to know other CMAA Members? The cost is $25 which gives you two beers, lots of GREAT food and a spot in the bracket. 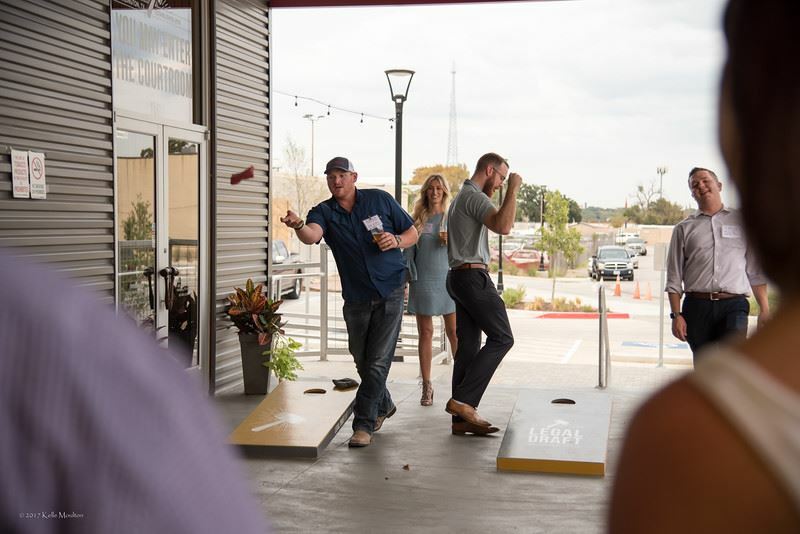 Get your most sporty co-worker and sign up to be the CMAA Corn Hole Champion for 2018. You will be entered into the bracket -- and we only have 16 spots. The cost is $50 which gets each of you two beers, lots of GREAT food and a spot in the bracket. Or just come have some beers with us! $25 - gets you two beers, great food from Tipsy Oak, and lots of FUN!